Thank you to the following UD School District & Community members for making this UDAE Foundation grant to Garrettford Elementery such a BIG success! 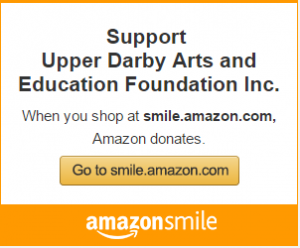 The UDAEF has proudly funded over $2,000,000 in grants to Upper Darby teachers, students, administrators, and programs enhancing the education and opportunities of Upper Darby School District and its residents since 1998. Look for these additional Foundation Grants awarded for the 2018-19 School Year! Guided by Upper Darby Teachers, Joanna Mulholland & Jessica Cleary (now at Highland Park Elementary,) second graders from Stonehurst Hills learn how to care for flowers and vegetables in their own “backyard garden!” Ms. Mulholland and Ms. Clearly both grew up in the Upper Darby School District and have also been involved with the UD Summer Stage, Schoener 5K teams, and MusicMan Camp programs. Don’t see your UDSD school? Have an idea for your classroom? Deadline for all Foundation Grant applications is March 1st — click here to view our application requirements.